Talking Combat 027: You No Take Tenure! Jason recaps the events from Roll For Combat, Episode 027: Meeting Of The Minds. This one’s going to be a little short – first, I ran into a little bit of time crunch doing this and reviewing Pact Worlds. But also, I have to confess this week’s episode was a little weird for me. On one hand, dealing with snobby academics should have been right up Tuttle’s alley. The episode had some nice individual roleplaying moments, and hey, we got to interact with a Contemplative. That alone is worth the proverbial price of admission. We finally managed to find someone who’s a bigger snob than Tuttle! On the other hand – and I hope saying this doesn’t place a bounty on my character’s head when I go to PaizoCon – the central premise of the quest just didn’t work for me. Steve says we sometimes get impatient or trigger-happy: while that’s true in general, this wasn’t that. When you really strip it down, it feels like it needlessly complicated a simple issue for the sake of giving us players something to do. In short: it felt a little too much like busy-work. So let me get this straight. Muhali and Austin 3:16 could very easily walk down a hall and just talk to each other and sort this issue out. But instead, they’re going to rely on total strangers to mediate their dispute, even though these mediators have no background or standing in any of the subjects that are in dispute. I guess you can hand-wave some of that as respect for the clout of the Starfinder Society, but it still seems like a situation that could’ve resolved itself without our efforts. Also, just as a technical matter, I was expecting it to require more than ONE Diplomacy roll to resolve. MAYBE even some research type activities that would’ve given Tuttle a more active role. We are at a university, after all. Nevertheless, we got it done. Muhali gets her apology, Ailabiens 21:2 gets his career back on track, and presumably next episode, we get access to Halukeem Zan’s notes about the alien writing. Win-win all around. Now can we get poor Mo some food? 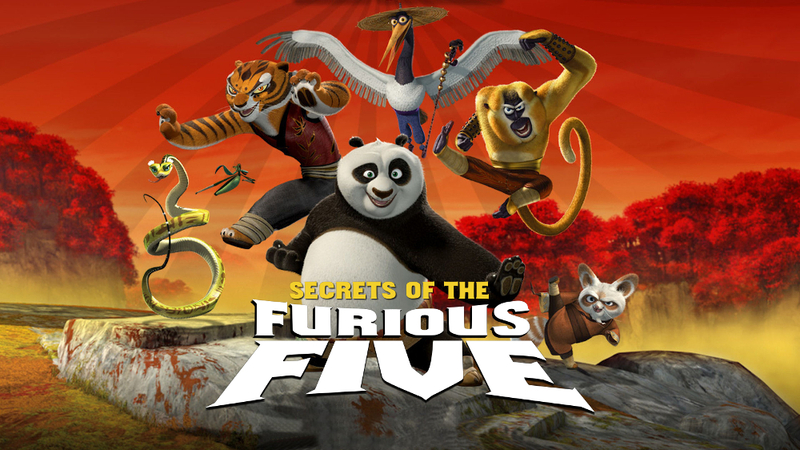 This week’s random pet peeve: every time Steve has someone call us the “Fabulous Five” I keep thinking of the Furious Five from Kung-Fu Panda. It can’t just be me, right? The GM tip regarding shopping left me with a twinge of guilty conscience because I’m a craptacular book-keeper in that regard. Historically, I have a pretty good memory (you might catch it when I’m the one to pull the name of an NPC from four episodes ago out of thin air) but sometimes I rely on it too much when it comes to my character sheet. Steve’s far too kind to admit it, but I suspect at least part of the reason he keeps track of it centrally is that I have a rich history of forgetting the contents of my inventory unless someone writes them on my forehead in Sharpie. From the player perspective, I tend to finalize my shopping list about 80% between sessions. We almost always – Pathfinder OR Starfinder – end up with some shared group expenses that don’t get resolved until we’re at the table again, so it’s almost impossible to lock a shopping list down to the last credit/gold piece. (Or, on at least one or two occasions, between the time Steve told us to get our lists ready and when we returned to civilization, we took a detour and ended up with more money than expected.) So what I do is I create two different lists – the “must have”s that I’m pretty much walking out the door with regardless of what the rest of the group wants to do (this time around, it was an armor upgrade and the personal ability enhancement), and a second list of “nice to have” purchases that I’ll dip into if our group decisions result in some leftover funds or if we do somehow stumble into more money than we expected. I will note that Starfinder is a little heavier on consumables than Pathfinder tended to be, so in this game, I’ve also had be more explicit about budgeting for that, with the understanding that those can change if needed. The net effect of all of this is that when we finally get to the table, I have my most immediate needs covered with minimal muss and fuss, but I still have some flexibility to tweak it without adding a lot of extra time to the proceedings – in essence, Plan A is already locked in, but I’ve also got Plans B, C, and D ready to go as needed. Next week, I guess we’ll finally get access to the archives and gain access to Halukeem Zan’s writings (I keep thinking of the notebook Indiana Jones’ dad kept in Last Crusade – ONLY THE PENITENT MAN SHALL PASS!). I’m torn here – more chances to use Tuttle’s brains would be a good thing, but so would getting out into the wilds of Castrovel and fighting some stuff. (There’s that impatience Steve was talking about!). Which one will it be? Brains or brawn? Tune in next week and find out, I guess. NextNext Talking Combat 028: N.P.C.P.D.